When it comes to painting, watercolor is my first love. As a consequence, I have developed many watercolor painting techniques over the years, some traditional and others new. I learned the hard way, through trial and error -here is my ultimate guide to 20 watercolor painting techniques so that you can experiment on your own faster than I did. As you read the article, note that you can click on most of the images for more detail. This is the most used technique, and the one that defines watercolor for many artists. You create a wash by first abundantly wetting the paper with your mop, and then applying the watercolor pigment with either your mop or your point. You typically use a wash for your backgrounds, and you use it to create large colored areas. 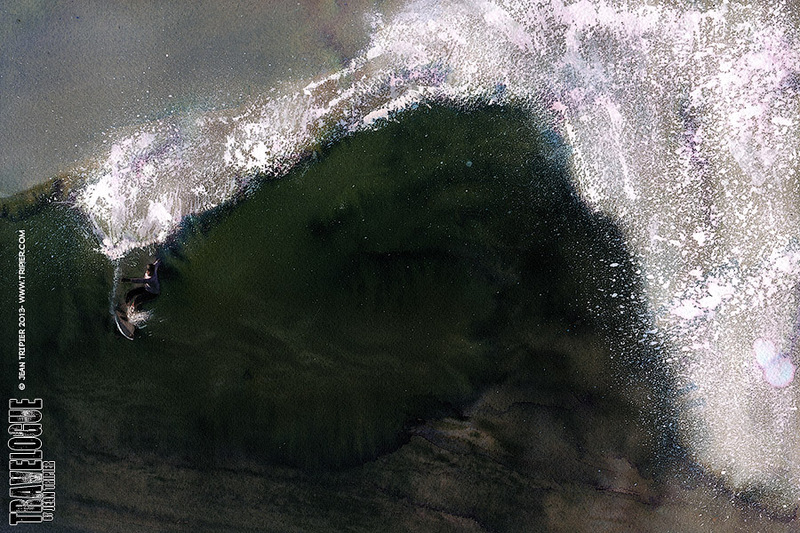 Gradients can be achieved by layering the pigment through several parallel brush strokes with increasingly diluted color, and by slopping the paper to control the flow of water. To do a good wash, you must 1) use a lot of water 2) paint quickly and 3) avoid going back to it or otherwise interfere with the drying process except for the wet on wet techniques described below. You can achieve amazing effect with a wash. 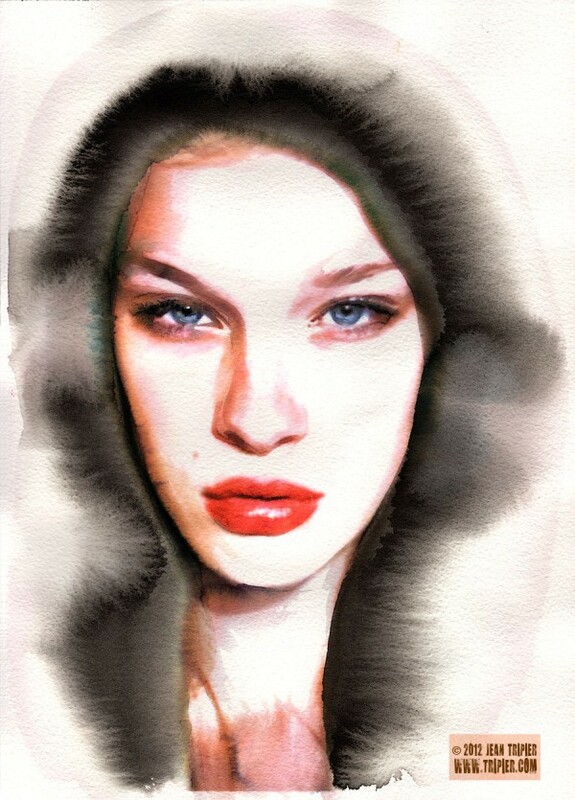 In Portrait with winter fur, I used a wash to create the fur hood surrounding the model’s face. Two or three brush strokes create the illusion and a receding background to the face. You can also control the spread of your wash to create textures and shape them into forms. How can you control the spread of your wash to achieve the effect shown above? Using a hair dryer after applying the wash, you can dry areas of the wash so that the additional layer will not spread onto them. You can also use masking tape in addition to the hair dryer for more precisely masking parts of the painting. See how in Portrait of Lea as a Wolf woman the model’s hair and the wolf’s neck shape are all created from a wash with my mop brush and it bleeds into Lea’s face. There is an endless list of additional wet on wet techniques. 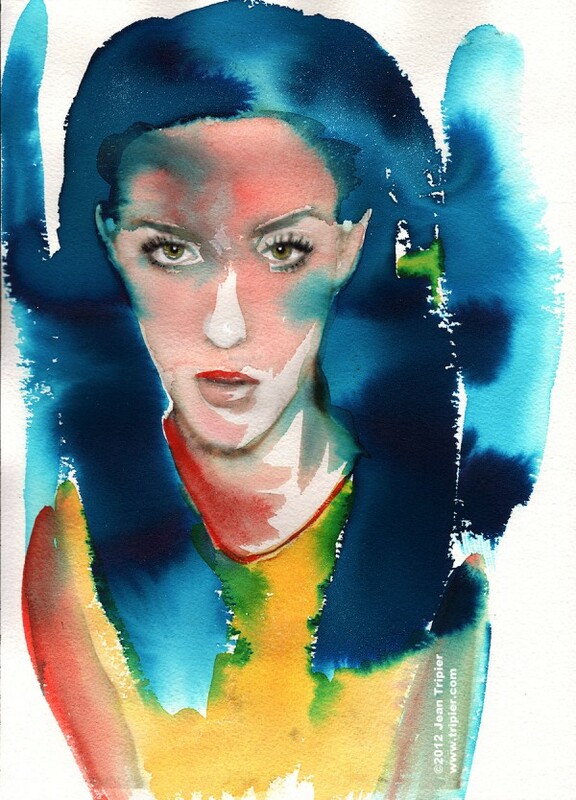 In Girl, slanted, I used my point brush to drop ink onto a watercolor wash, creating a more complex pattern of dark to light variations in the background and the model’s hair. See how many different wet on wet techniques you can find in this detail from Michele. In the last view, Tel Aviv under the rain, the drops of rain are created by dropping water onto a dry background, letting it sit to dissolve the pigments in the background layer and then slopping the paper to create the droplet effect. Using a dry brush to apply pigment on dry paper allows you to create textures and tone graduations. You will want to use an old brush for this technique, as it will damage the brush. Apply “dry” pigment onto your old brush (meaning pigment whose consistency is closer to a paste than to a liquid) and apply strokes onto dry paper, keeping your brush as horizontal and parallel to the paper as possible. Create variations and therefore changes in tonal values through different degrees of pressure and by modifying the angle of the strokes. You can see several dry brush strokes in Saint Jean de Luz. They are used to create the texture of the rocks and to link the darkest areas of the painting. Glazing is a technique I usually avoid as I view it as unnecessary if you can successfully control your washes. There are many instance where it is required however and it can help you correct tonal values or reduce excessive color contrast. To glaze a layer, use transparent or semi-transparent pigments and apply a very thin layer over your dry background. You will then be able to modify the tonal value and/or the color of the background layer. 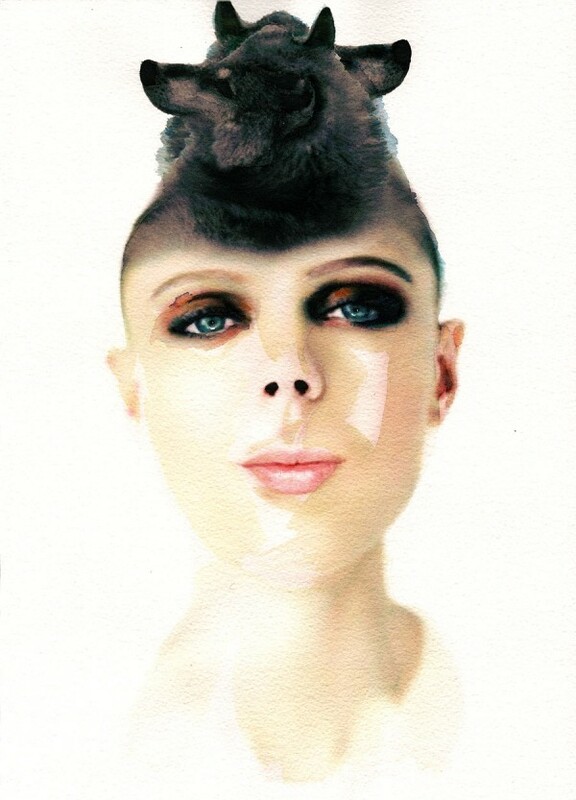 You can see in the watercolor I did for Studio Visit on the right that the model’s hair is done entirely via glazing several layers. How do you know if a pigment is suitable for glazing? Your watercolor tubes should provide you with a refractive index -but it is best to test the paint before using it as there are significant variations in transparency for the same pigment between the different brands. Lifting off paint is achieved by applying a sponge or a paper towel to wet areas of the painting. As you dry the area, you also remove pigments. Alternatively, you can apply water to a dry area and subsequently apply your paper towel to remove some of the dissolved pigments. Mostly, this technique is meant to correct mistakes. If you abuse it or do it poorly, it will show and will destroy the flow and organic quality of the piece. I have made that error many, many times… How do you then lift off paint without damaging your art? There is no simple answer to that question as it depends on the pigment being removed and the paper. One way to avoid mistakes is to have a wet brush at the ready so that you can quickly apply clear water to the area from which you lifted off paint -this will eliminate bad transitions and geometric or unnatural patterns. Pigment saturation works by dropping dry pigment onto a wet layer or wash. You then let the pigment and the background layer dry in place, and brush off the pigment once the paper is completely dry. You will be left with a highly concentrated color dot that radiates a bit into the background layer; other patterns can result. Desaturation can be achieved by spreading coarse salt onto your wet layer. The salt will absorb some of the pigment; once both the salt and the background layer are dry, you can remove the salt and will be left we spots of desaturated color. Different size of grain salt allow you to achieve different results, and you can use other absorbent materials and crystals. Finally, you can use the resin to mold your piece to a support that is not flat -I have used it on surfboard and skate decks. You can achieve a number of effect by sloping and angling your paper. Painting a sky for instance is a lot easier if your paper is standing vertically as opposed to lying flat. The best thing to do is to experiment with gravity and to build a repertoire of positions and movements that work for you. You can also use your hair dryer to achieve similar results or “spot dispersions” when applying it to areas you are painting. Masking fluid, masking tape, pieces of paper and of course your hands can be used to mask areas when applying washes or splatters. Use them and experiment. The spray on that Mavericks wave is done with acrylic paint because watercolor would have dispersed too much and blended in with the background. To achieve greater contrast and avoid dispersion, I had to use acrylic paint. More than half of my watercolors use some other media. Sometimes, part of the painting will be all watercolor while the rest will use acrylic and oil paints. If you look at the top half of that other Mavericks wave, you will see the brushstrokes left by my brush as it layered both acrylic and diluted oil paints on a watercolor layer. 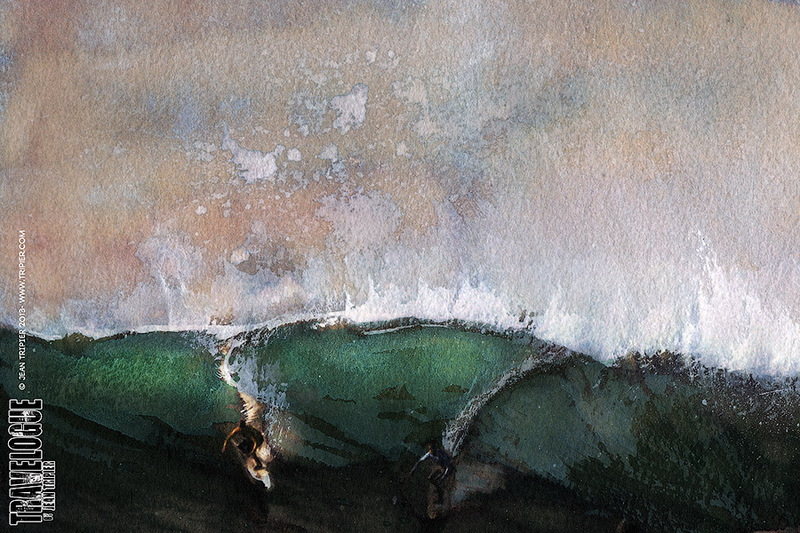 Only watercolor allowed me to translate the transparency of the green mountain that is chasing the surfer; but I need the opacity of acrylics and oils to frame the wave. You may have been told not to mix acrylics and oil paint -one more thing to ignore as you explore mixed media. Sometimes it helps to ignore the word “color” in watercolor. 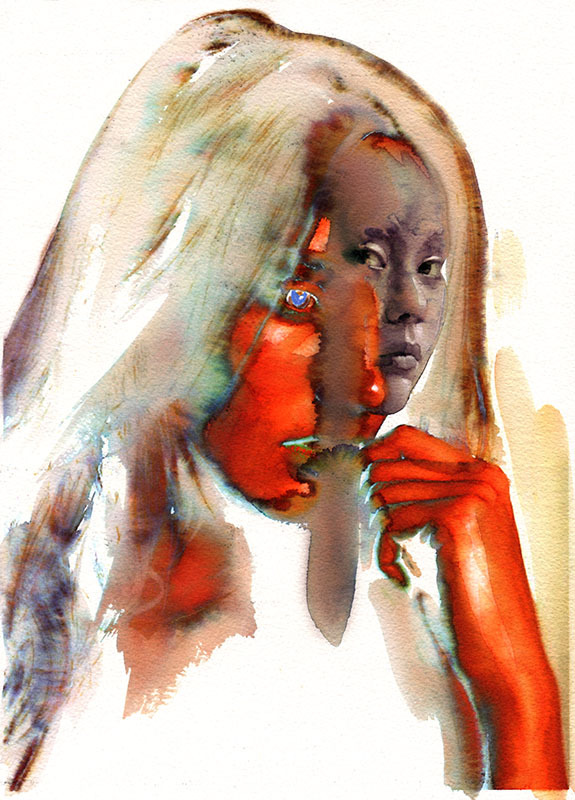 You can use inks and watercolor to build tonal values and ignore color altogether. 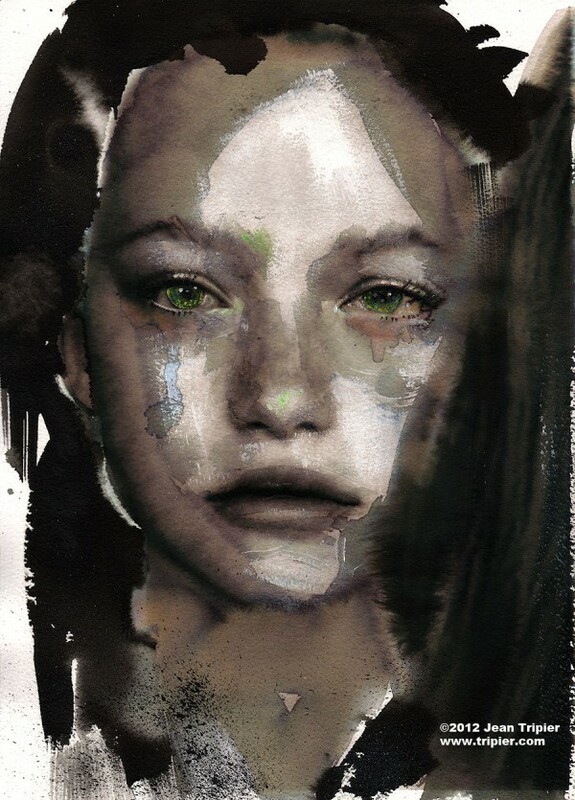 In this painting below (which mixes watercolor, acrylics and digital techniques you will find described later) I wanted the green of the eyes to emerge from a study in blacks. I built up the face using both black watercolor and black India ink. The strength of the eyes and of the entire portrait comes from being framed in black, all the way to the solid black used for the hair. You can also use spots of flat / no color in your painting to great effect. In Janus 2 shown below I used a monochrome face to contrast with that of the model. 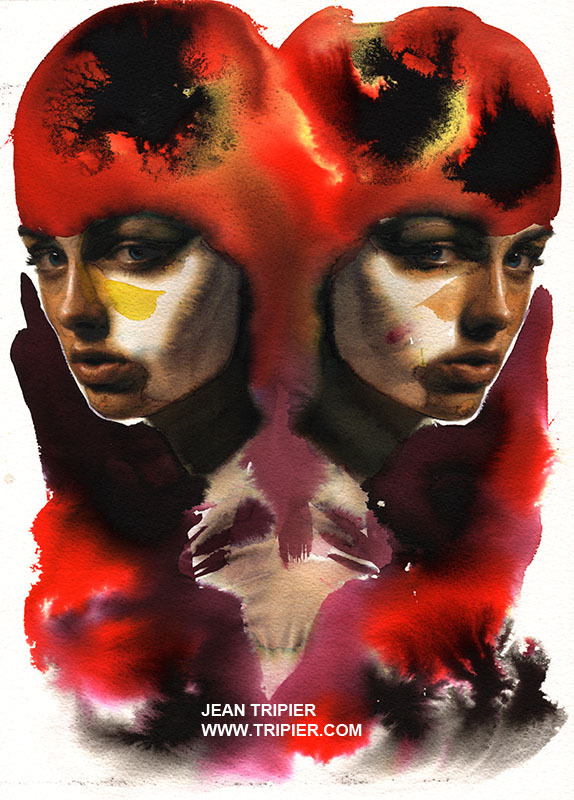 I know of two ways to achieve a fading effect with your watercolors. First, you can dip your painting in water after applying your first layer. This extreme “wash” establishes a base layer that is soft and… washed-out. Second, you can use water based inks that are not steadfast. Fountain pen inks for instance usually age and fade very quickly. You can use a bottle of blue or brown Waterman ink to great effect as I did when painting Absurdia, a series of watercolors and drawings about World War I. Your finished painting does not have to be a watercolor. A few years ago I started scanning watercolors and manipulating them into Photoshop, and I haven’t looked back since. The most basic treatment is to modify the color of a background to convey a different mood. You can see above two versions of Portrait with monkey, one with its “real” background and the other with a digital one. Digitally modifying a background can help achieve more than a mood change. In this watercolor/digital series of paintings, I used the digitally modified background as a way to unite the different watercolors. This would not have been possible manually. Watercolor is perfect for repetitive patterns or painting series. 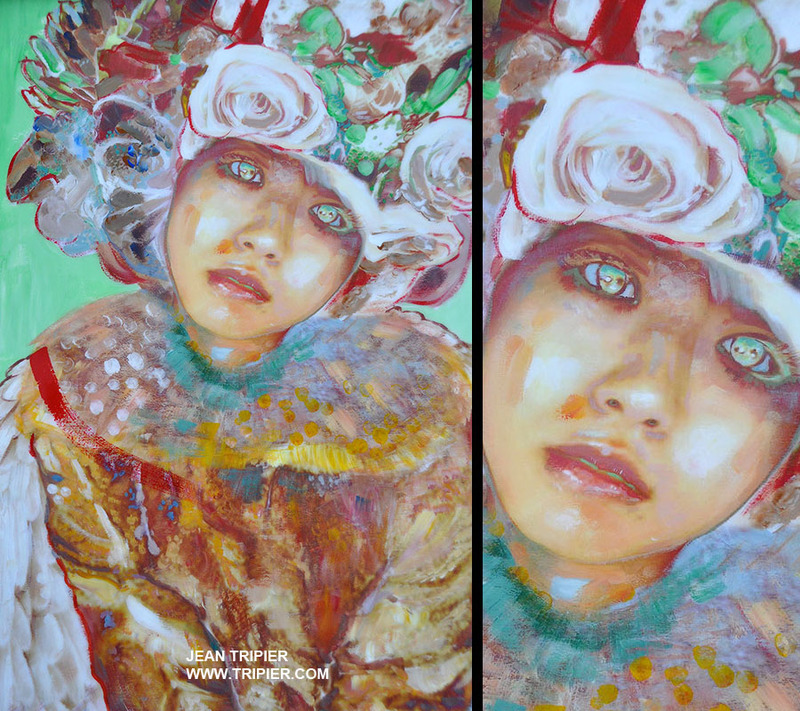 You can simply paint a series that uses the same palette as I did in Three Portraits of Annie shown above. Or you can take it one step further via digital processes. 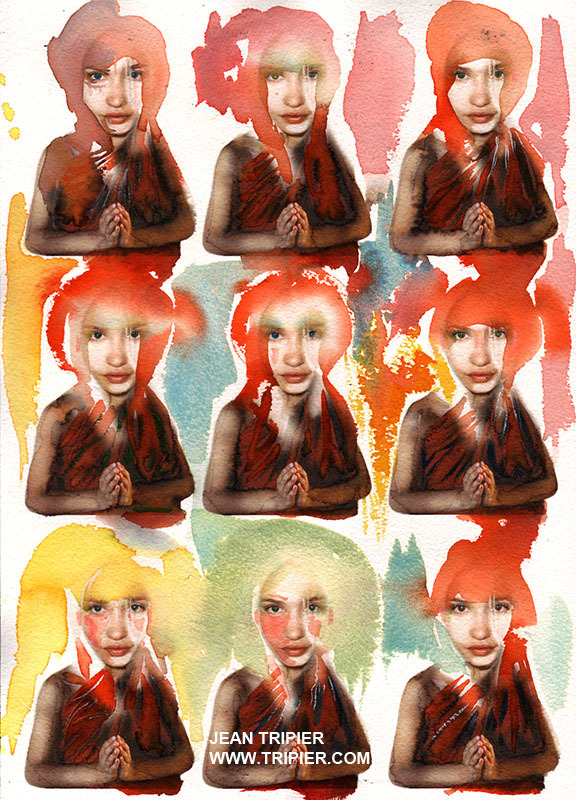 9 Monks is a series of watercolor portraits done on a single 10″ x 14″ piece of Arches paper. To complete it quickly, I scanned the original painting and created nine vignettes of the basic figure in Photoshop. Having printed the vignette on watercolor paper, I was able to paint nine variants of the same painting to find the best color/texture variations. Janus uses the same principle to create a symmetrical portrait. You can repeat the process at infinity to create more complex patterns and foundations for your watercolor experiments. I find that using watercolor on a smaller and printed version of an original frees you to experiment more. Having completed a series of vignette, you can select the best one and using Technique 16 below, one can turn it into a larger watercolor, as I did with one of the final versions of Nine Monks vignettes, entitled “Bhudist”. In 9 Monks I used my printer to establish both an outline and a color foundation for a watercolor. Painting on a partially printed pattern, outline or color foundation opens up a lot of possibilities. You can now guide your painting by printing several reference points on the paper; you can print a black and white drawing and use watercolor to bring color back to the composition; you can do the reverse and use watercolor for the tonal values; etc. 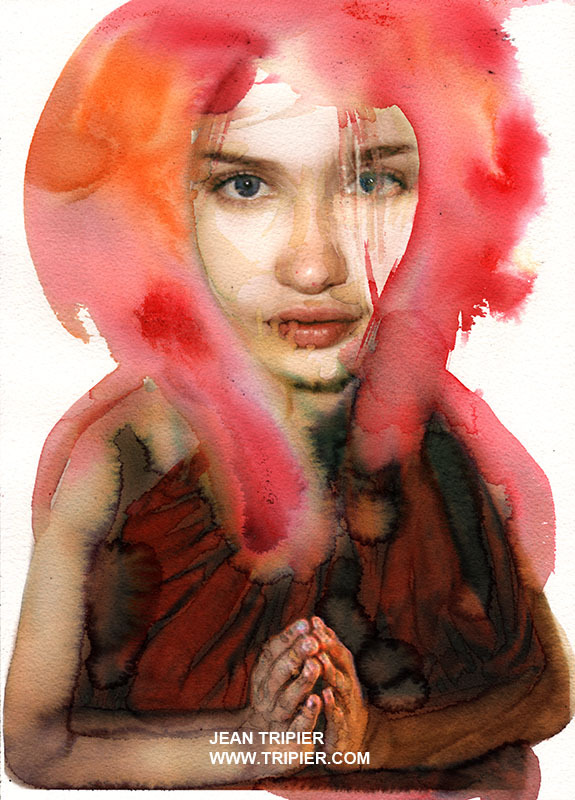 An important variant of Technique 16 is to print on photographic paper and use watercolor to cover the foundation layer of you photograph and dissolve partially its pigments. Watercolor works great on most photographic papers and the flat, glossy surface allows you to keep your pieces small if you want, which equals more paintings and experiments. In Tsunami, I used this technique to complete a number of panels that tell the story of an upcoming and destructive wave. 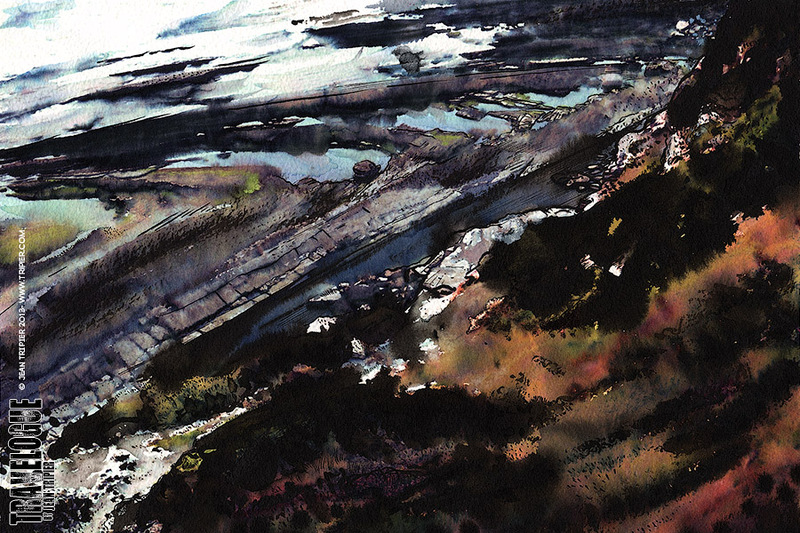 If you take Technique 15 to its logical extreme, you will find yourself creating series of watercolors that will start building up a narrative. This is something I have experimented with for my graphic novels -you can see here for instance the outline of a page entitled “Dialogue” done in watercolors and ready for lettering in Photoshop. Digital manipulations of your watercolor allow you to easily experiment with different tonal or color values. We are now entering the domain of illustration, where watercolor technique can be applied to a large number of graphic styles. My last technique is simply to combine all or several of them in your work. As you multiply the permutations and combination, you increase your technical and creative repertoire. Having these twenty techniques available to you allows you to create more and better watercolors. Now you can combine them and put them to work as I did in this portrait of Bathylle. You can use the comment section at the bottom of this page to suggest other techniques or to let us know what you think. Wonderful blog. I read with interest your suggestion about using epoxy resin to create a gloss effect. I always thought that epoxy resin was acidic which I assume will damage watercolor paper over time. Do you have any thoughts (or maybe I’m wrong about the acidity) about this? I have experienced with a number of different resins, some epoxy and some polyester and haven’t add any issues with the resin damaging the watercolor paper over time. Oldest resin coatings might be about three or four years old, so it remains to be seen what impact if any it could have over a longer period of time. – I use Ultra-Glo resin (http://www.tapplastics.com/product/fiberglass/epoxy_resins/ultra_glo_polymer_coating/31) which has a few advantages over other standard epoxy resins, mainly less toxicity, less air bubbles (those can be removed easily by blowing or using heat over the wet surface) and more flexibility once dry. Thank you for sharing so generously on your site. I’m interested in knowing what type of printer you use. Thanks in advance. I use two kind of printers: a large format (24″) Epson, similar to the Epson 7900 and a medium format Epson Stylus 1400. They both run archival inks and have served me well over the years. Wow!!! 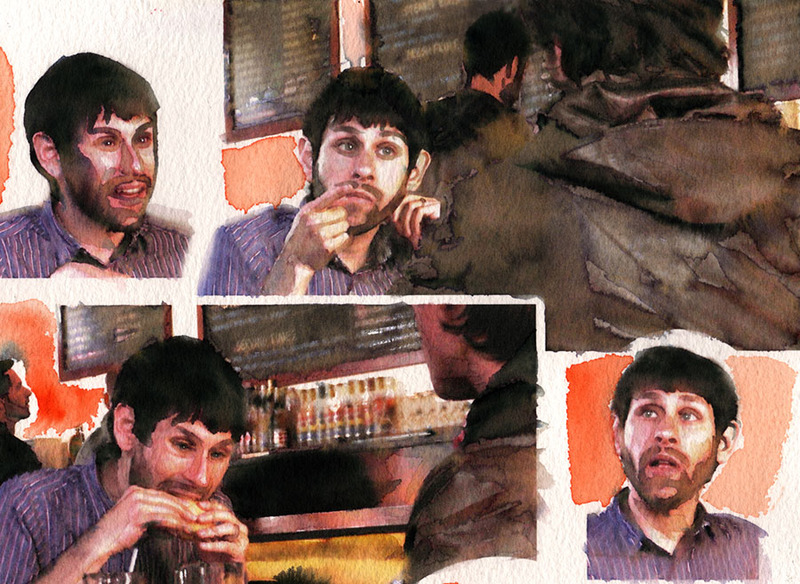 blown away with your work, brings watercolour to a whole different level. can’t wait to have a go. Many thanks. Brilliant works and extremely helpful commentaries. Lively, expressive faces. Im not sure if I missed a few pointers, but do you know if glue actually stops watercolor paint from spreading around? I’ve heard some people say so, and my art teachers don’t know. Thank you! By the way, great blog! Yes, glue does stop watercolor from spreading. This is basically what masking fluid is and does -a “glue” you can apply and remove after using watercolors so that the pigments do not spread to certain areas. I have a “controlled” water color painting, horse/pasture/farm, bought in the late 1960s, Mystic Seaport, CT; it has a slight smudge (looks like a thumb print? ), slightly discolored. Is there any way to clean this? Removing a presumably old thumb print on an old watercolor is tricky. The techniques that work are, by increasing order of likely damage to the watercolor: 1) a kneaded eraser 2) very slightly wetting the paper where the stain is and attempting to lift the dirt / pigment and 3) using a scalpel (which will damage the paper). Whether any of those techniques will work and not damage the watercolor depends entirely on the paper, exact nature of the stain, etc.